Are you the Do-It-Yourself type when it comes to your home? Maybe you want to put your handyman skills to the test and install your own fence. Lucky for you, Fence Workshop provides high quality aluminum fence that not only looks great, but is easy to install as well. If you aren’t looking to install yourself, we can provide fencing delivered to your door at a lower cost than you’ll pay a full service fence company. Finding an installer to install your high quality aluminum fence will be a breeze and you’ll come out spending less than you think. No matter what type of fencing you choose to use around the perimeter of your yard, you will need to cement in the posts that will hold the fence upright. The depth of the holes you dig for the posts will depend on a number of factors, including how the wind blows, what the soil conditions are and what other weather conditions might affect the stability of the fence. Metal and Vinyl and Wood, Oh My! There are many choices in fencing material today, and the right choice for you will depend on how the fence will be used and what your personal preferences are in terms of aesthetic quality. You may think the fencing placed around a garden area is bound to look much different than the fencing used for a dog run, however we carry a variety of aluminum fence styles that are suitable for almost any purpose. Strength, height, maintenance and appearance will all be characteristics to consider when choosing your fencing. The good news is a Fence Workshop™ can help you work through the many choices available to find fencing that will best meet your unique needs. Building codes and homeowners’ covenants will all come into play when you are choosing fencing for your home. These regulations may dictate the material that can be used, the height it cannot exceed and even the color it must be stained. Finding out your specific county or city fence codes should be relatively simple as most government agencies list this information on their respective websites for easy access. If you have any questions, be sure to get them answered before installing any type of fence so that you don’t end up having to rip out all of your hard work. 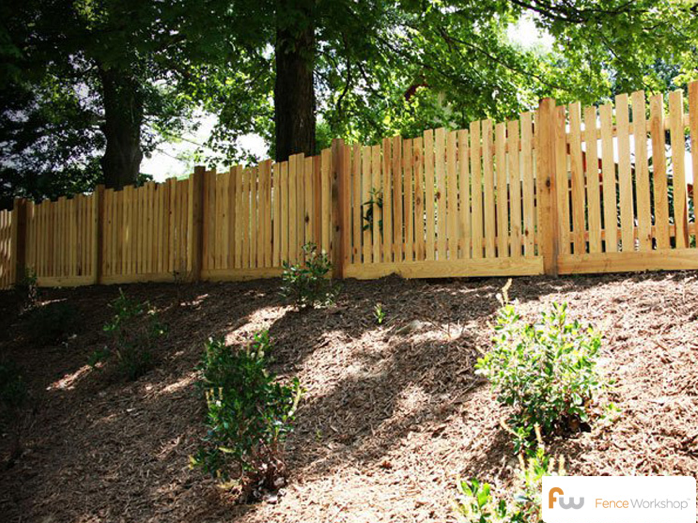 At Fence Workshop™, we supply residential fences in Georgia, Florida, North Carolina and beyond in areas like Atlanta, Athens, Jacksonville, Orlando, Apex, Raleigh and more.